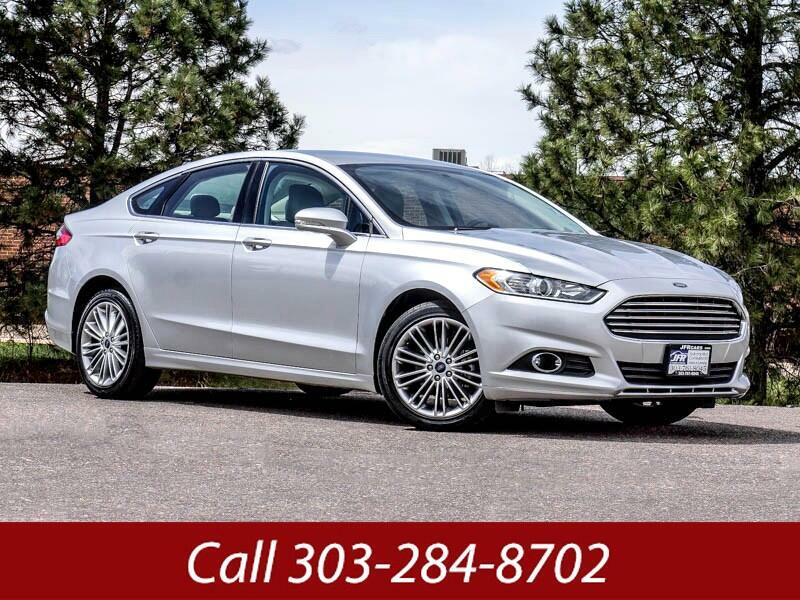 Used 2016 Ford Fusion SE AWD for Sale in Littleton CO 80120 JFR & Associates, Inc. When it comes to a good choice in the midsize sedan market this one owner, lower mileage Ford Fusion is one of your top picks. It offers a quiet cabin, a get-up-and-go fuel-efficient engine and sharp styling. Once you get behind the wheel, you'll feel comfortable from the moment you settle into the comfortable seat. This Fusion comes with an assuring and friendly feel as you cruise down the highway. The upscale cabin offers an urban and smart style to the dashboard and seats. The interior comes with high-quality materials and designed for many years of excellent service. This Ford Fusion comes with a variety of options to make your driving experience more enjoyable. You'll also love the idea of fewer stops at the gas pump with this sedan that leaves more money in your pocket every month; (City 22 - Hwy 32) Excellent fuel economy! You are cordially invited to take this Ford Fusion for a test drive and discover for yourself why this sedan is so popular. Contact us today and schedule a test drive. You'll be glad you did.